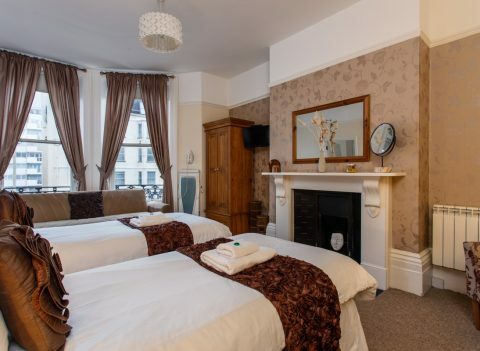 We have six stylish suites, each complete with bedroom, bathroom and kitchen. There is also a seventh family ensuite room, without kitchen. 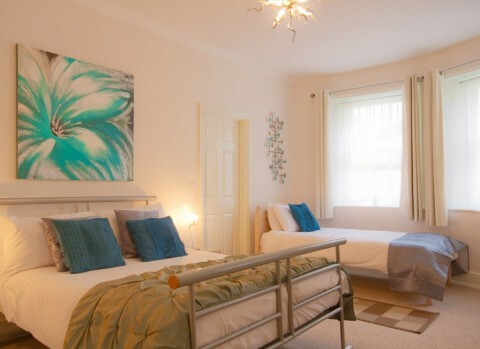 Ideal accommodation for families, friends or with someone special. 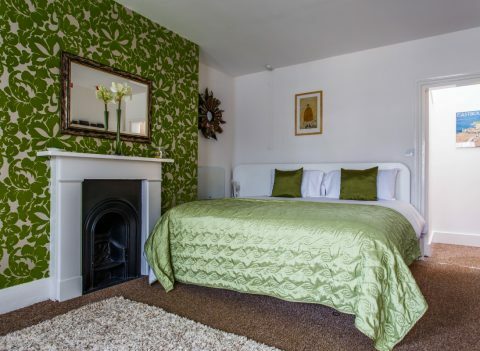 Midi suite sleeps up to 3 adults/child plus baby. Includes: A spacious super king/twin bedroom with wonderful side sea views, single futon or sofa-bed, separate kitchen with fridge, hob, microwave and private shower or bathroom. All suites feature a fireplace and flat-screen TV/DVD player. Guests should state preference of twin or double when booking. Also, when possible a baby cot and/or small mattress can be accommodated and provided free of charge.- please discuss in advance with the guesthouse. Who says three's a crowd? Not in our lovely triples... Our self catering triples (suites) have flexible bed arrangements and can be set up to suit your needs. Big families, little families, young and old - welcome all! Some of our suites with kitchens have sofabeds or futons that can be set up for children and ALL can fit a cot. We have two rooms big enough for families of five. 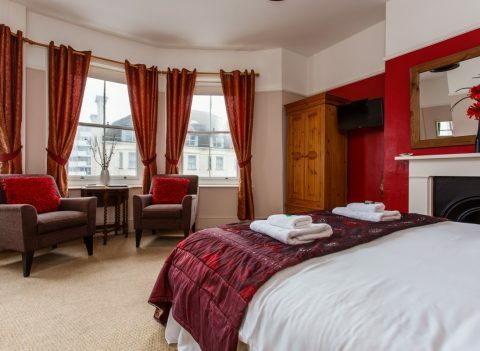 Suite 6 on our top floor is our largest with kitchen, while room 7 is a large family ensuite room (no kitchen).